Michiganders head to the polls November 6. 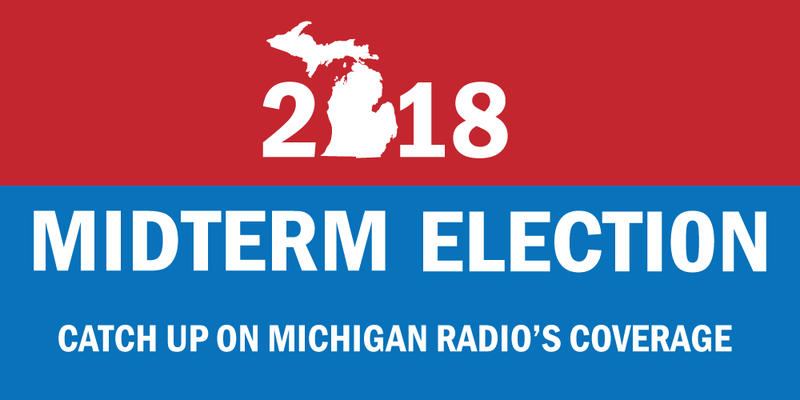 Below you can find the best of Michigan Radio's election coverage, including interviews with candidates and break downs of the biggest issues. Democratic former Senate Minority Leader Gretchen Whitmer will be Michigan's next governor with a victory over Republican Attorney General Bill Schuette. Whitmer will be the second woman elected as Michigan governor. Michiganders passed Proposal 1, making recreational marijuana legal in the state, on November 6. Read our article about what the proposal will do below. Listen to the conversation, and read an extended version of the interview below. As part of Michigan Radio’s ongoing election coverage, Morning Edition and Stateside are featuring interviews with candidates hoping to be the next attorney general. Republican candidate Tom Leonard is currently the speaker of the Michigan House of Representatives. He has also served in the Genesee County Prosecutor’s Office and as the state’s assistant attorney general. As part of Michigan Radio’s ongoing election coverage, on Thursday and Friday, Morning Edition and Stateside are featuring interviews with candidates running for state attorney general. Stateside’s conversation with Debbie Dingell, incumbent Democrat in the 12th Congressional District. As we approach Election Day on November 6, Stateside is interviewing congressional candidates around the state about the issues most important to them. Debbie Dingell is the incumbent Democrat in Michigan’s 12th Congressional District. She has represented the district since 2015. In November, Michigan votes on legalizing recreational marijuana. This could have a significant effect on rural Michigan. In Colorado, the result has been a mixed bag. In November, Michigan voters will decide if they want to legalize recreational marijuana. Supporters say the industry that develops should be an economic boost for rural Michigan. Last week, the Michigan legislature adopted the minimum wage increase initiative, officially taking it off the November ballot. The legislature had previously adopted two other initiatives, paid sick leave and repealing the prevailing wage. Attorney General Bill Schuette has chosen Lisa Posthumus Lyons as his running mate for the November election. Schuette is the Republican nominee for governor – he won about 50 percent of his party’s vote in the primary.